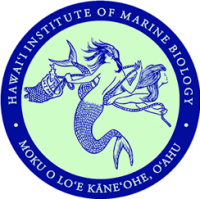 At the University of Hawaii’s Hawaii Institute of Marine Biology on Coconut Island, Dr. Ruth Gates and her team are working with a set of corals that were unaffected by a warming event last year that caused bleaching in many of their neighboring adjacent strains. These resilient corals are being conditioned to survive in increasingly warmer and more acidic water. The goal is to induce greater resilience in the individual samples as well as in their offspring. The Australian experiments will be conducted in the state-of-the art National Sea Simulator (SeaSim) located on the campus of AIMS headquarters in Cape Ferguson. The SeaSim allows for tightly controlled environmental factors including temperature and water acidity during the selective breeding-style activities. The Australian-component of the research will forward another component human-assisted evolution. This is an innovative use of the age-old selective breeding techniques similar to those used in the agriculture industry.